The global biosensors market is dominated by F. Hoffman-La Roche Ltd., Abbott Point of Care Inc., and LifeScan Inc., which collectively held 54% of the global market in 2013. According to Transparency Market Research, development of advanced products is set to be a crucial competitive strategy for players in the biosensors market in the coming years. Other leading players in the global biosensors market include Medtronic Inc., AgaMatrix Inc., LifeSensors Inc., Nova Biomedical Corporation, and Siemens Healthcare. One of the key applications of biosensors is in diabetes monitoring and management, since the precision offered by biosensors reduces the chances of errors and makes the subsequent treatment safer. The increasing prevalence of diabetes thanks to the increasing number of people leading an unhealthy lifestyle has thus presented the biosensors industry a promising opportunity, as the demand for more accurate and reliable biosensors is set to increase in the coming years. Many biosensors manufacturers have invested heavily in R&D to make the most of this opportunity, although smaller players in the market have been unable to do the same due to the high R&D costs in the biosensors industry. The increasing application scope of biosensors is another key driver for the global biosensors market. Since biosensors can be customized to monitor various biomarkers, they can be used to monitor and detect a wide range of ailments. The improving accuracy of biosensors is likely to result in an expansion in the application range of biosensors, leading to promising growth prospects for the global biosensors market in the coming years. Apart from versatility and precision, the demand for smaller biosensors that provide efficient output is another key factor expected to shape the growth trajectory of the biosensors market. Miniaturization of sensors is an increasingly popular trend in the healthcare industry, since smaller sensors are more convenient for the patient. Smaller biosensors are also helpful in non-healthcare applications of biosensors. By technology, the electrochemical biosensors segment is the leading contributor to the global biosensors market, with the revenue from electrochemical biosensors expected to be more than US$11.9 bn by the end of 2016. 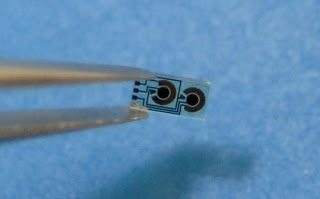 Optical biosensors are also likely to receive steady demand in the coming years, accompanied by a drop in the market share of piezoelectric and thermal biosensors. By application, the medical industry dominates the demand from the global biosensors market and is expected to reach a valuation of more than US$11 bn by the end of 2016. Other leading applications of biosensors include food toxicity detection, agriculture, industrial process control, and environmental applications. Geographically, North America is set to remain the leading contributor to the global biosensors market. However, the Asia Pacific and RoW markets for biosensors are set to exhibit higher CAGRs than North America and Europe in the 2014-2020 forecast period.